Genes contain all the information needed for the functioning of cells, tissues, and organs in our body. Gene expression, meaning when and how are the genes being read and executed, is thoroughly regulated like an assembly line with several things happening one after another.Researchers at the Centre for Genomic Regulation (CRG) in Barcelona, Spain, in collaboration with scientists at the structural bioinformatics group, University Pompeu Fabra (UPF) and department of molecular epigenetics, Helmholtz Center Munich, Germany, have discovered a new step in this line, which controls the expression of some genes with an important role in cancer. “We observed that breast cancer cells need a particular modification to express a set of genes required for cellular proliferation and tumour progression,” explains Priyanka Sharma, CRG researcher and first author of the paper. “This modification allows the enzyme RNA polymerase II to overcome a pausing barrier and to continue to transcribe these genes,” adds Sharma, who is a Beatriu de Pinós postdoctoral researcher (cofunded by EU Marie Curie Fellowship) and also received funding from Novartis and the CRG internal call for women scientists (Women Scientists Support Grant – WOSS). “Deciphering every single step and all actors involved in this process is an important achievement in terms of fundamental science. We are now able to better understand how an intricate mechanism of gene regulation actually works and this might be a new target for clinical researchers to study novel therapies for certain types of cancer,” states Miguel Beato, CRG group leader and principal investigator in this work. The work, which has been published in Molecular Cell, describes a novel modification of in the Carboxyl terminal domain of RNA Polymerase II, namely the de-imination of an arginine, by the enzyme PADI2, which allows the polymerase to transcribe genes relevant for cancer cell growth. 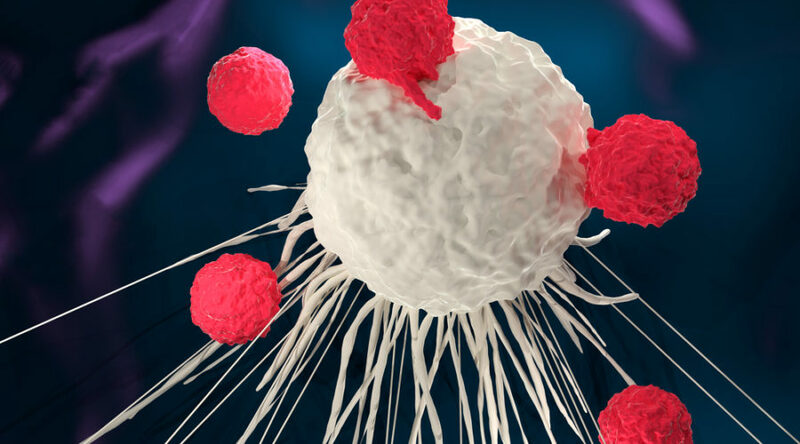 “Most chemo-therapies are oriented at blocking the activity of enzymes, but we know that PADI2 participates in many different processes involving the nervous system, immune response and inflammation, among others. Thus, inhibiting PADI2 would have multiple side effects. Our results make it possible to target just the particular action of PADI2 on RNA polymerase needed for tumour progression without globally blocking the enzyme,” explains Beato.